You’ve probably heard me refer once or twice to my go-to, all-around nutritional supplement, Isotonix OPC-3 (the one I can’t live without!). But you may be confused by the different variations of the product – Isotonix OPC-3, Isotonix OPC-3 Beauty Blend and DNA Miracles Isotonix OPC-3.Three amazing products – all with different goals when it comes to achieving optimal health. Each product has one common denominator: Isotonix OPC-3 is one of the most revolutionary nutritional supplements available today, including the clinically-studied ingredient Pycnogenol. 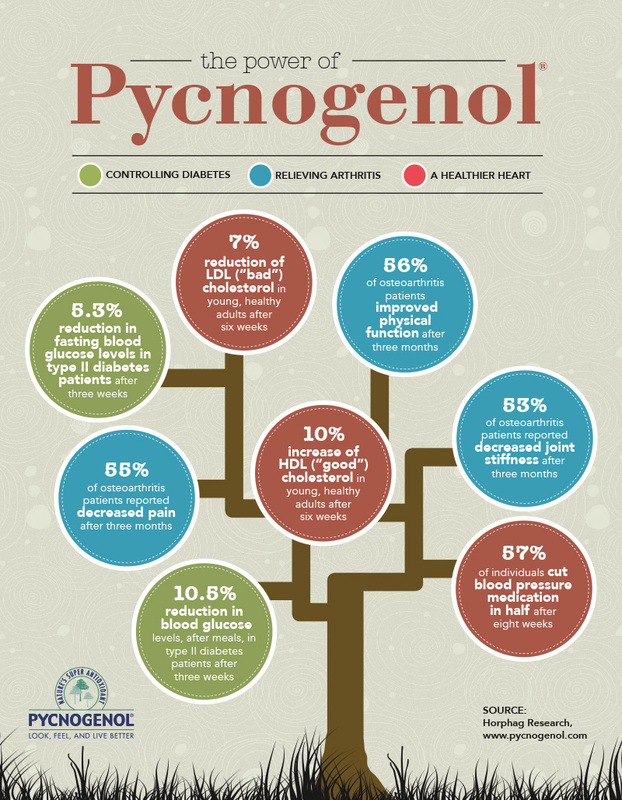 Found in pine bark, Pycnogenol is known to improve blood flow, stimulate the immune system and have antioxidant effects – all of which contribute to overall health. Thinking Isotonix might be perfect for achieving your optimal health and beauty goals and looking for a great supplement for your kiddos? Keep reading to understand which Isotonix OPC-3 product is right for you. Isotonix OPC-3 is one of the most revolutionary nutritional supplements available today. Between its unparalleled formula, including the clinically-studied ingredient Pycnogenol, and the revolutionary Isotonix Delivery System, there isn't a more effective antioxidant supplement on the market today. Isotonix OPC-3's list of benefits is substantial. From promoting your cardiovascular health by helping you maintain healthy blood vessels and showing anti-inflammatory activity, Isotonix OPC-3 provides complete antioxidant protection thanks to its unique formula. The power behind this advanced nutritional supplement powder comes from its formula of OPCs, or oligomericproanthocyanidins: complex organic plant compounds called bioflavonoids that provide exceptional nutritional benefits to the human body, including antioxidant protection. The nutritional supplement powder Isotonix OPC-3 Beauty Blend takes an inside-out approach to promote healthy skin. Isotonix Beauty Blend's OPC-3 benefits helps maintain skin health at the cellular level, nourishing and rejuvenating skin cells with some of the finest antioxidants available today including grape seed extract, red wine extract, bilberry extract, citrus bioflavanoids and Pycnogenol - all of which help give this skin health supplement its OPC-3 benefits. Each is a powerful free-radical scavenger that works to help keep the skin healthy and beautiful. This Isotonix nutritional supplement powder works as a skin health supplement, promoting skin elasticity, collagen production and healthy circulation by including vitamins and nutrients that make it one of the most advanced beauty supplements on the market. At the same time, Isotonix OPC-3 Beauty Blend also provides you with cardiovascular support and a boost for your immune system thanks to its powerful formula. Antioxidants aren’t just important for adults; they provide astounding benefits for growing children, as well. Sometimes, though, it’s difficult for children to get complete antioxidant protection from their typical diet, especially if they are picky eaters. In children’s nutrition, DNA Miracles Isotonix OPC-3 is in a class of its own, providing your child a comprehensive formula designed to facilitate growth and development, as well as provide antioxidant defense. DNA Miracles Isotonix OPC-3 supports your child’s heart health using amazing ingredients, including the highly-researched, clinically-studied plant extract Pycnogenol® . Like all Isotonix supplements, DNA Miracles Isotonix OPC-3 uses the Isotonix Delivery System – delivering the product’s nutrients fast and effectively, maximizing results that can be felt quickly. DNA Miracles Isotonix OPC-3’s blend of vitamins, bioflavonoids and other nutrients are absorbed quickly, providing strong antioxidant defense for a child’s body, contributing to the maintenance of brain health and circulation. Do you or your children take a daily supplement? What kind works best for your family?